On a cool late-summer evening, is there anything more romantic than popping open a bottle of fine sparkling rosé? 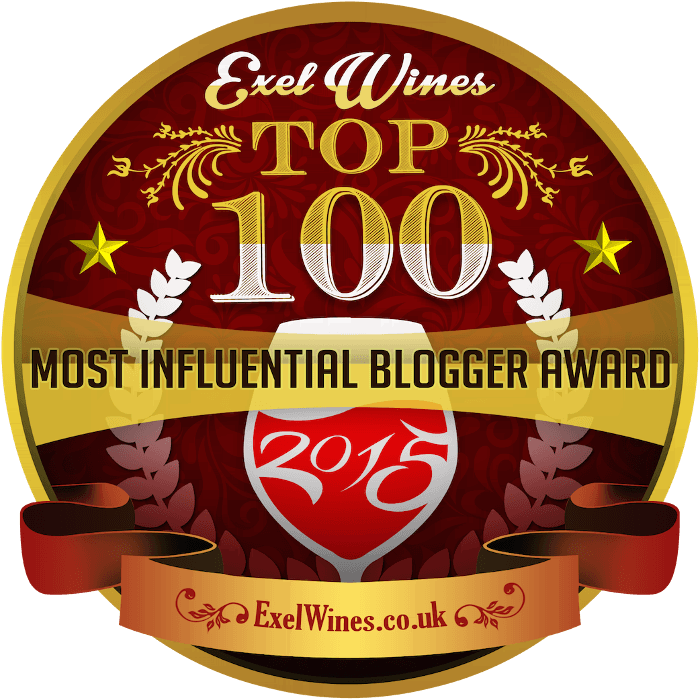 I love sparkling rosés, and I don’t drink nearly enough of them. It was with some excitement, then, that I discovered a bottle of sparkling rosé not from Champagne (which can be ruinously expensive), but from Austria. This little central European country is known by American wine drinkers, if at all, for its zippy and food-friendly Grüner Veltliners, not its sparklers. Upon further inspection, I noticed that this bubbly was a blend of Pinot Noir (commonly used in Champagne) and Zweigelt (most definitely not used in Champagne). How could I resist? 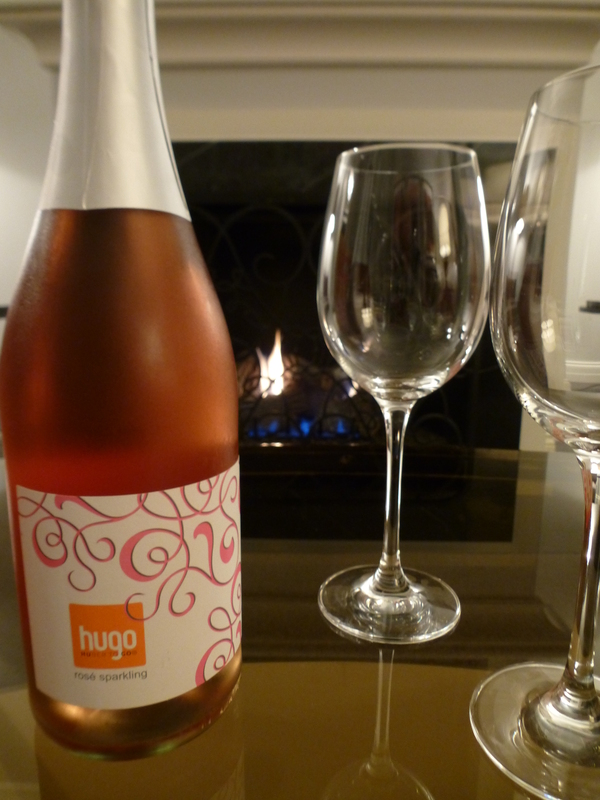 I snapped up a bottle of the 2012 Weingut Huber “Hugo” Sparkling Rosé. I could find little general information about Austrian sparkling wine in any of my wine books. It was usually but a footnote, and The Sotheby’s Wine Encyclopedia was positively dismissive. Here is its summary, in full, of the state of Austrian bubbly: “Austria’s best-known sparkling wine is the bottle-fermented Schlumberge, produced in Vienna, but it seldom exceeds in quality.” Well, I must respectfully disagree — the Austrian sparkler I see most often is Szigeti‘s sparkling Grüner Veltliner, which is actually quite delicious. Zweigelt, also known as Blauer Zweigelt, is one of the most popular red varieties in Austria, a country which does indeed make delicious red wines (for more about Austrian reds, see this post and this post). This popularity belies Zweigelt’s relative youth — this cross between St. Laurent and Blaufränkisch was created less than a century ago, in 1922. Capable of “serious, age-worth wine” according to The Oxford Companion to Wine, Zweigelt can now be found in every wine region of Austria. Huber’s Hugo, a blend of Zweigelt and Pinot Noir (the wine’s fact sheet omits the proportions) comes from the Traisental, a wine region of just 1,730 acres straddling the Traisen River. The soil of the vineyards here is a limestone mix, according to the Huber website, which made me think of the chalky soil of Champagne — an encouraging parallel. Even so, I didn’t get all that much minerality out of the Hugo Sparkling Rosé. It had aromas of berries, wood and yeast, deliciously juicy acids, and a dry finish with strawberry notes. Although this wine was not bottle-fermented, the ample bubbles felt impressively small — even pointy. Paired with a decidedly un-Austrian chicken burger, the juicy acids felt broader and more orangey, and the strawberry notes became clearer. Not too shabby for a $15 bottle of bubbly. Austrian sparkling wine may have long been rather dire, but if the Hugo and the Szigeti are any indication, I’d say Austrian bubbly is worth another look. When you hear the words “Austrian wine,” your first connotations are unlikely to be either “summery” or “red.” Although Austrian wines appear with increasing frequency on wine lists and in wine shops, almost all of it will be Grüner Veltliner (along with an occasional Riesling). I love a good Grüner Veltliner — it can pair particularly well with spring vegetables such as asparagus — but this oddly named variety can only barely be considered odd at this point. Instead, let’s talk Blaufränkisch and Zweigelt. As I noted in this post about Austrian St. Laurent, it can be difficult to find red Austrian wines, so I was particularly excited to be able to try several in succession at the “Austria Uncorked” tasting. I already knew I liked St. Laurent going into the tasting, but I felt skeptical about Blaufränkisch and Zweigelt wines. I visited Vienna in my early and mid-20s, and I remembered these wines as a little boring and bland. 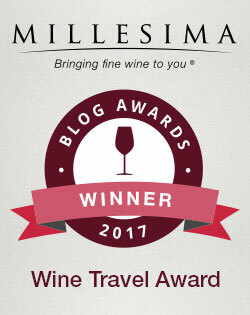 As I tasted wine after tasty wine at “Austria Uncorked,” it became increasingly clear I had been drinking at the wrong bars! These wines had excellent fruit, some balancing earth and even a touch of spice. They were great fun, and with a slight chill, they would complement any picnic or barbeque. Blaufränkisch has been a popular variety for quite some time; it dates back at least 1000 years to pre-medieval times, when “it was common to divide grape varieties into the (superior) ‘fränkisch’, whose origins lay with the Franks, and the rest,” according to The Oxford Companion to Wine. The Companion as well as The Sotheby’s Wine Encyclopedia note that it grows in abundance near the warm, shallow Neusiedlersee (Neusiedler Lake) in Austria’s Burgenland region. 2010 Claus Preisinger Zweigelt: This winery sandwiched between the Neusiedlersee and the Hungarian border grows its grapes biodynamically, following the principles of Rudolf Steiner. It seems to be working — I certainly enjoyed this Zweigelt. The wine had an aroma dominated by iron, and lots of red fruit on the palate. The finish was surprisingly dry and tannic. 2009 Claus Preisinger “Pannobile”: This garnet-colored blend of 60% Zweigelt and 40% Blaufränkisch smelled of dark fruit and iron. The flavors took me on a memorable journey, moving from rich fruit to metal to earth to spice. Delicious. 2010 Lenz Moser Zweigelt: Since Burgenland-based Lenz Moser is one of Austria’s largest wine exporters, you might be able to find this brand at your local wine shop. This brick-red Zweigelt had the telltale aromas of fruit and iron and a rather simple, fruity flavor profile, finishing with a bit of spice. Easy to drink, and probably best with a touch of chill. 2011 Pfaffl Austrian Rosé: Pfaffl’s vineyards grow in the aptly named (and very large) Weinviertel region north of Vienna, and Sotheby’s cites this winery as one of the few in the area worth knowing about. This charming Zweigelt rosé had the color of a watermelon Jolly Rancher, ample fruit and a pleasantly chalky finish. An ideal picnic choice.